J&J ALES BREWING Co. is a self-initiated branding project that started with two friends with one passion: home brewing. 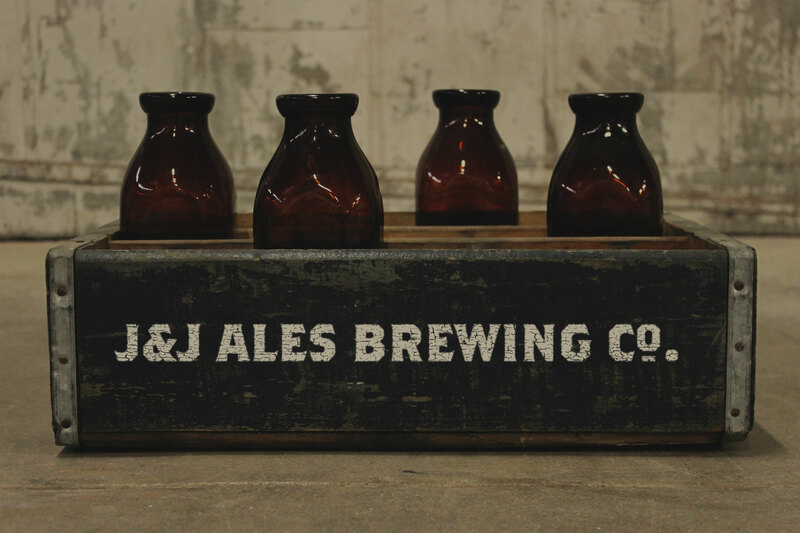 J&J Ales Brewing Co. has only been around for a few years but have already put their name on the map with original and unique home brews. Starting out in North Wales, PA. J&J Ales was born. Working together on a new way to make iconic tasting beer and wine has been J&J's goal since day 1. 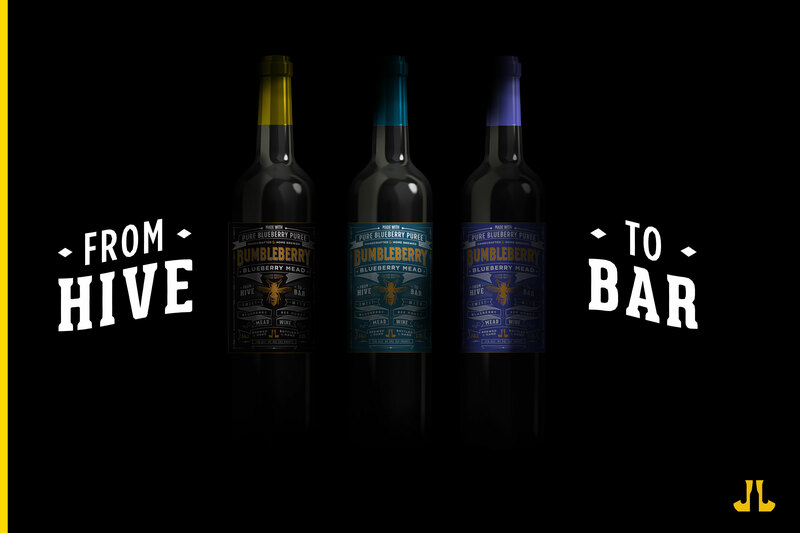 The first line of J&J Ales was a blend of Blueberry and Honey. 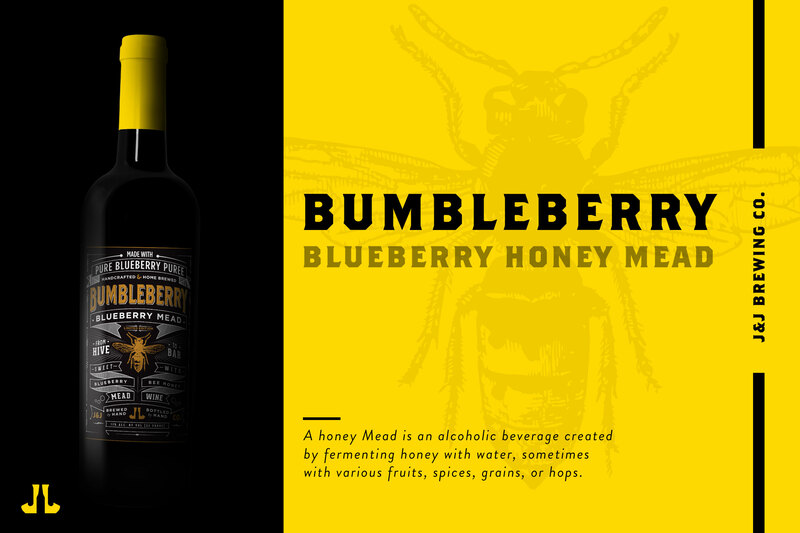 This mead was our first and has become our most popular. 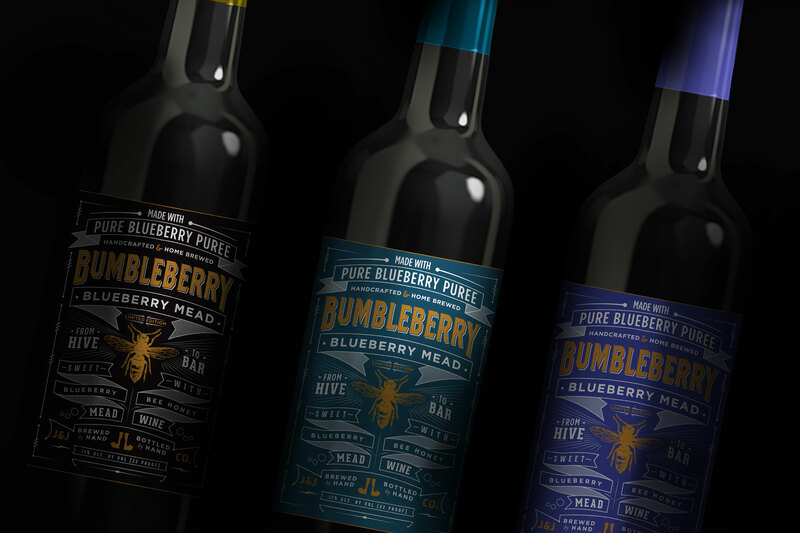 The mead bottles came in 3 different editions: golden yellow, dark blue, and royal purple, the golden yellow color edition was very limited (2 bottles). Only made 20 bottles in total, currently fermenting until the day the seal is cracked and the cork is popped.